For the second time in less than a week the United States disappointed. One can only hope this is a short-lived trend, but having yet again blown a second half lead at home, to a perceived inferior team, optimism after the World Cup has come back down to earth. Was it just a friendly? Sure. Are we still very early in this World Cup cycle? Obviously. However, the lack of a killer instinct, coupled with an inability to play with the lead, should, at the very least, raise a tiny red flag. International friendlies, much like preseason games in other sports, divide fans into two camps, the optimists and the pessimists. With reality living somewhere in between, justified criticism of the American’s 1-1 draw against Honduras Tuesday night, in an embarrassingly empty Florida Atlantic University Stadium, does need to be taken with a grain of salt. With that being said, the Yanks’ performance, particularly in the second half, was terrible. This coming with a World Cup veteran laden squad playing against a mostly inexperienced side from a country that recently left Brazil 2014 with its tail between its legs. 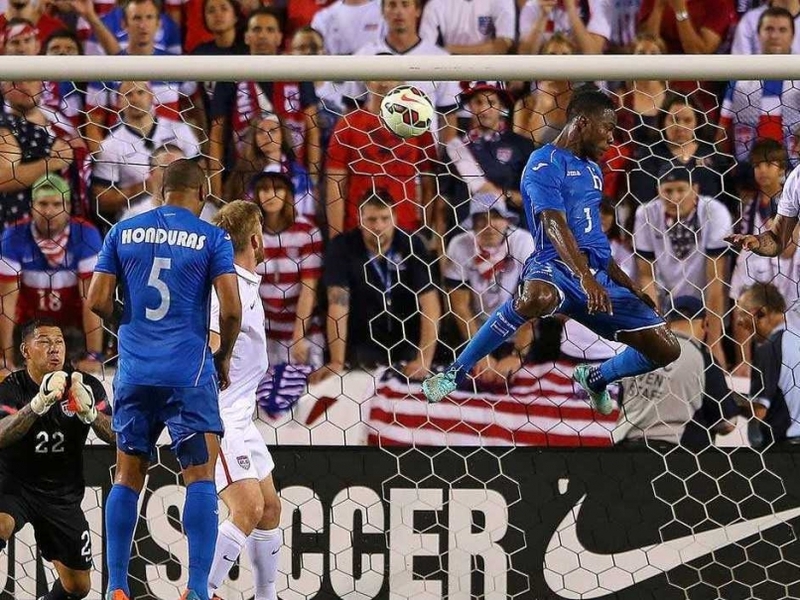 The U.S. managed to jump on the board early with Jozy Altidore playing the role of hometown hero. Not only was it great to see Jozy perform in his native Florida, but given the past 3 months he has had, it was refreshing just to see him celebrate a goal of his own. Altidore has been a bright spot this international break, having also performed well last week against Ecuador. Going forward, hopefully his club situation works itself out and we see him scoring consistently heading into next summer’s Gold Cup. A scoring Altidore is a must, given the lack of bite from the rest of the forward group. Despite injuries and youth throughout the pool at the forward position, the men on the field have not been the threat they need to be. Three goals in three games since the end of the World Cup is not going to be enough to push this team into the upper echelon of international soccer. The defense is just not good enough to earn consistent clean sheets. 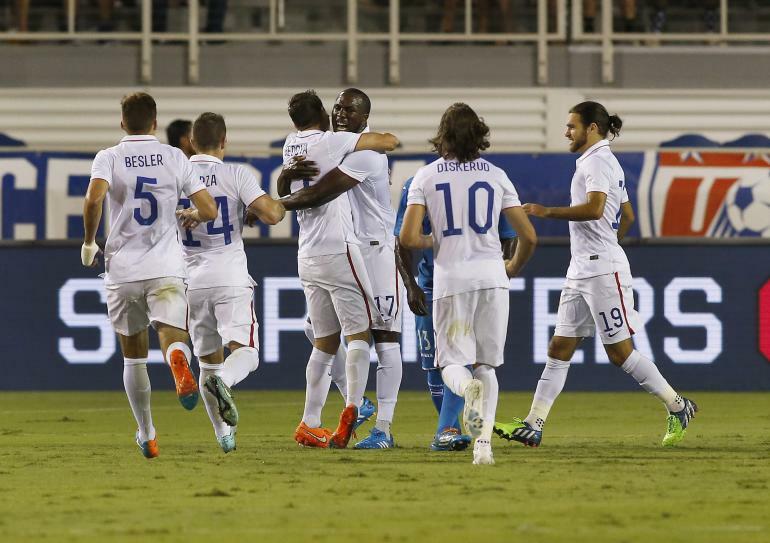 Aside from Altidore, the forwards in all white Tuesday night were a non-factor. Bobby Wood, while still earning his stripes, looks like a deer learning to walk with a ball at his feet and did Clint Dempsey play in this game? The ever present enigma for the Stars and Stripes continued to leave Jurgen Klinsmann scratching his head at FAU. Is Mix Diskerud really both a threat and a liability or is he merely learning how to play the game at this level? At times he looked borderline world class, at others he was running around chasing his tail. No more was this the case than during the play leading up to the Honduran goal. Back-tracking defensively, Diskerud showed his aggressive side taking down a Honduran attacker with a solid, yet foul-inducing, tackle. At the time, commentators Ian Darke and Taylor Twellman both praised Diskerud’s rare display of aggression and scolded him for giving up a free kick, deep in his own end with a one goal lead. Their concern proved to be valid as the free kick was spun into the box and headed home by Maynor Figueroa. 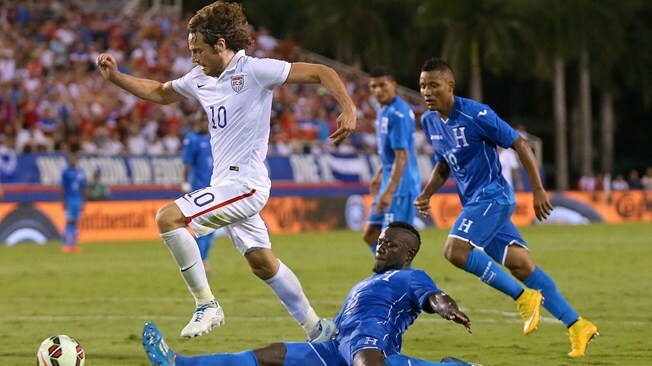 A learning experience for Diskerud and a deflating moment for the Red, White and Blue. 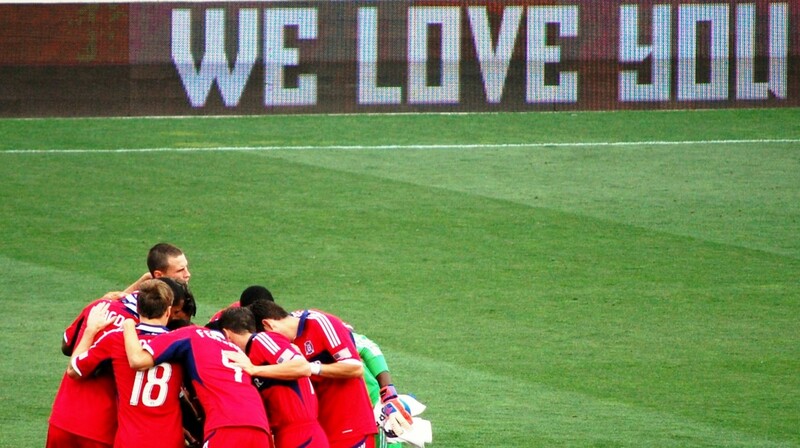 Michael Bradley spearheaded the uninspiring play for most of the 90 minutes. The lack of form from MB4 since his move back to North America has been alarming enough for Klinsi to call him out in the media recently. It would be pretty easy for Jurgen to play the “I told you so” role given that Bradley just hasn’t been himself since his move to MLS. A late second half substitution from DeAndre Yedlin once again showed that his future lies in the midfield for the Yanks. It will be interesting to see if Sounders (and then Spurs after his move across the pond) allow him to play the same role. He seems to be a good fit when not required to have elite level defensive responsibilities, though his cameo in Boca Raton did nothing more than increase his cap total. 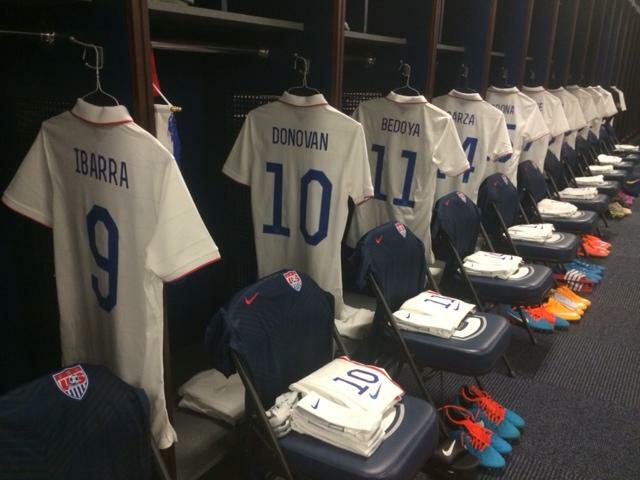 As always, it’s fun to see someone earn their first cap and we got to see this in the form of Miguel Ibarra. The interesting note about Ibarra’s debut was not that he set foot on the field, but where he came from to do so. As noted in the broadcast, Ibarra is the first player in the modern NASL to receive a senior cap. Good for him and good for the progression of competition on the American club level. The most notable happening in this match, however, occurred on the American back line. 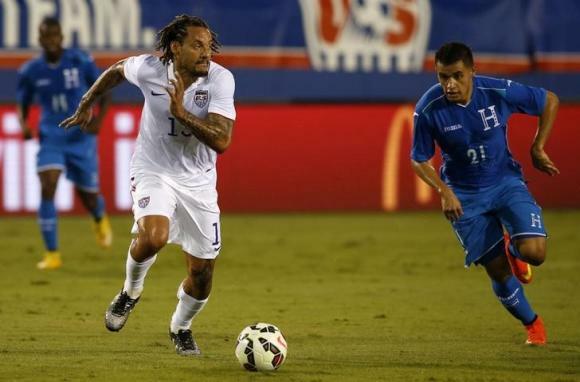 Receiving his first ever American start at centerback was none other than World Cup midfielder Jermaine Jones. This transpired despite the fact that a plethora of centerbacks dotted the game day roster and may point to Klinsmann’s feeling of the current situation at the position. Jones is a long shot to make the Russia 2018 roster at midfield due to his age (he will be 36 in 2018), but that same shot is slightly shorter should he be a full time centerback in four years. He’s not likely to start in this role when the games count, but having a World Cup veteran play a depth role could prove to be invaluable. Should the motive behind the move act more as motivation for the other centerbacks in the pool than anything else, hats off to Klinsi for shaking things up and giving something new a try. After all, isn’t that what this point of the World Cup cycle is all about? Going forward, the United States has shown the need to develop a consistent offensive threat and learn to play with the lead. Obviously, in the second half of friendlies you end up with a potpourri of players. This doesn’t change the fact that the Americans have fallen apart the last two matches late in the game. Honduras made many second half substitutions as well and they appeared to only get stronger. This must be fixed by the next friendly, let alone games of any meaning. Nice job Joe, but I don’t think anybody is home. Still I appreciate the fine work and research.